Since 2001, the Luckiamute Watershed Council has been partnering with local agencies, landowners and businesses to improve water quality and habitat conditions in the Luckiamute River and Ash Creek watersheds. The Luckiamute Watershed Council (LWC) is a diverse group of volunteers who work together to learn about the watershed and to improve water quality and habitat conditions. The LWC promotes projects that protect and enhance natural resources through the cooperation and support of local agencies, schools, landowners, industries and businesses. Formed in 2001, the LWC has a 13-member Board of Directors. The Council is representative of the stakeholders in the watershed and includes people with experience in fisheries, agriculture, forestry, education, and natural resource management. Anyone who lives or works in the Luckiamute River or Ash Creek watersheds is welcome to attend LWC meetings or participate in watershed activities. To engage and assist landowners and communities in the voluntary protection, restoration and enhancement of the Luckiamute and Ash Creek watersheds. 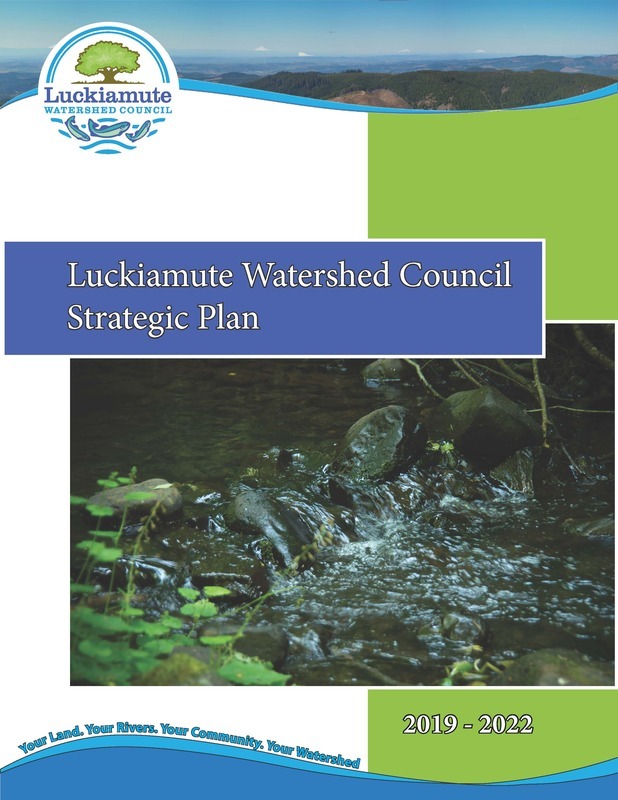 The goal of the Council is to promote broad and informed public participation in the ecologically and economically sound sustainability and improvement of natural resources and environmental quality in the Luckiamute watershed. Click on the image on the right to view a PDF copy of the LWC Strategic Plan for 2019 - 2022. Download our latest Annual Report, as well as previous reports, by clicking here. Download a PDF copy of our bylaws by clicking here. Download a PDF copy of our Articles of Incorporation by clicking here.